As we launch into a vibrant new school year, NCTE’s Executive Director Emily Kirkpatrick will share a special message with members each month, filling them in on Council activities and soliciting feedback for our path forward. What follows is the transcript from a video we created with her first welcome message. Watch the video here. Hello. I am Emily Kirkpatrick, your executive director, and I am excited to have this opportunity to speak with you directly. Every day you, our members, work to bring new ideas and new insights into how education shapes the future for all students and, by extension, brings new energy to our organization, our NCTE. Since April, we’ve held in-person and online sessions across the country, investigating every aspect of the work NCTE is currently doing. We’ve met with experts in social media strategy and innovation, and are now using those learnings to remodel what we do and how we do it so that we can work with members to keep literacy teaching and learning at the forefront of progress. NCTE as an organization will listen, will respond to as well as prompt progressive ideas from every corner of our membership. Every single day I make a point of talking with an NCTE member. In these conversations I learn what teachers need to be supported—whether that’s information, inspiration, or new opportunities to contribute to NCTE’s expansive work. It’s exactly why I want to be in the field working with and witnessing the power of teachers, seeing our students thrive, experiencing new writing, and seeing this work come alive in classrooms across America. And it is that spirit that you, our members, represent. With your help, NCTE is moving forward. Let me give you some examples. This month a team of new editors launched a remodeled journal for middle level educators. Sara Kajder and Shelbie Witte have long been leaders within NCTE, but as editors of Voices from the Middle, they’ve listened to the calls from members for more relevant content, more space for varied voices, more access to ideas through the technologies that our members now rely on in their classrooms. Sara and Shelbie, along with a team of teachers from across the country, have delivered. 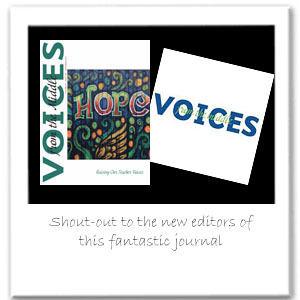 The journal features voices of real teachers working to use literacy to change our worlds. The podcast contains many voices from the field—voices talking about inspirational things such as their “teacher’s bucket list,” how students’ writing leads to community change. The journal features articles that place student and teacher voices front and center in purpose-full literacy work. 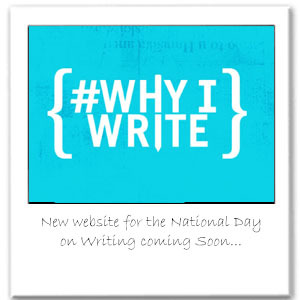 And in the same spirit of focusing on literacy, in October we are launching a new effort encouraging all writers to join us online for “Why I Write” all throughout the year. Stay tuned! Other initiatives we have taken on include moving our Washington office closer to Capitol Hill. Members can be closer to legislative events while in NCTE’s office. We’ve developed an important task force to help us rethink how NCTE addresses and embraces diversity and inclusion. We are redesigning our website and communications tools to amplify your voices and concerns. And in November, we are launching a new look and feel for the organization, one that reflects what all of you have been telling us that NCTE is and should be. This is energizing and exciting work, and at every step along the way, it’s grounded in your stories, your ideas, your inspiration. What do you want to know or contribute to our new directions? What issues and ideas do you think we should be focusing on? How are the changes at NCTE affecting the work you do? Send your thoughts to me through the email fieldnotes@ncte.org. Every day you, our members, are out there turning the page—making tomorrow greater than today, writing new chapters in the future of your students’ lives and, by extension, that of NCTE. I’m thrilled to be on this journey with you.